Providing you the best range of pvc profile with effective & timely delivery. Clients can avail from us quality PVC (Polyvinyl Chloride) Plastic Profile. These are made using superior quality metal and alloys, these have good resistance against corrosion. Our professionals design these packaging material using high grade raw material and cutting-edge technologies, in compliance with the industry. 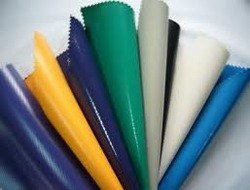 Looking for PVC Profile ?